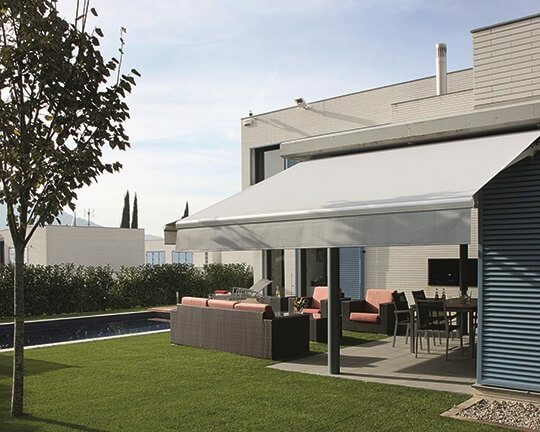 Retractable Awnings - Provide Solar Protection Even In Windy Situations! 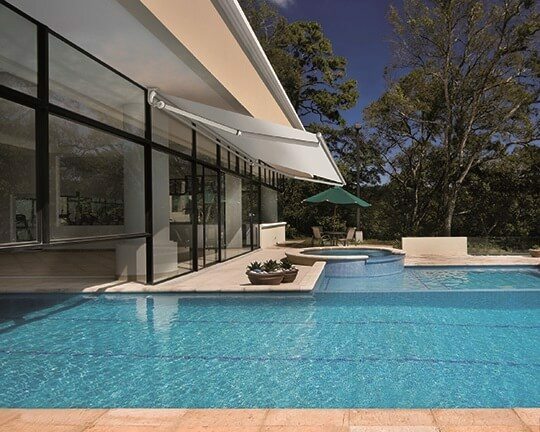 Shades By Design’s retractable awning systems are the perfect choice for many residential and commercial applications. They are very durable, and designed to provide solar and water protection in windy situations as well. 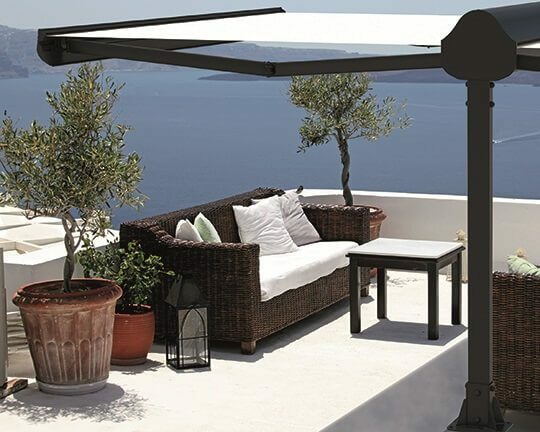 Their versatile design reduces temperature and allows you to set your preferred sun exposure over sunrooms, pergolas and any other open outdoor area. 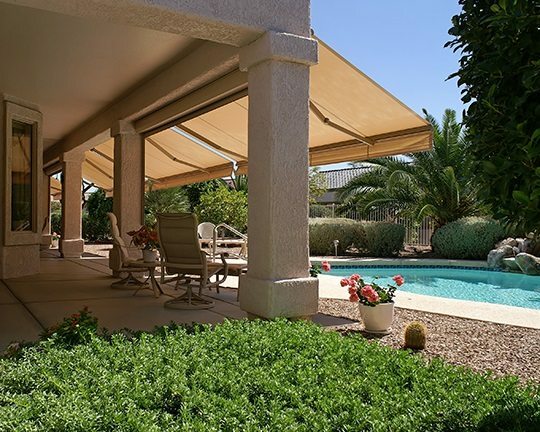 Our retractable awning systems expand your livable space and add beauty and value to your home without the worry of a sunburn. We offer a complete line of retractable awning systems for residential and commercial applications.